Growing water scarcity is now one of the leading challenges for sustainable development. This challenge will become more pressing as the world’s population continues to grow, their living standards increase, diets change and the effects of climate change intensify. The ‘water we eat’ daily through the food we consume is much more than what we drink. Did you know, depending on the diet, we need 2 000 to 5 000 litres of water to produce the food consumed daily by one person? Evidence suggests that two-thirds of the world population could be living in water-stressed countries by 2025 if current consumption patterns continue. To achieve a #ZeroHunger world by 2030, we need to take action now. 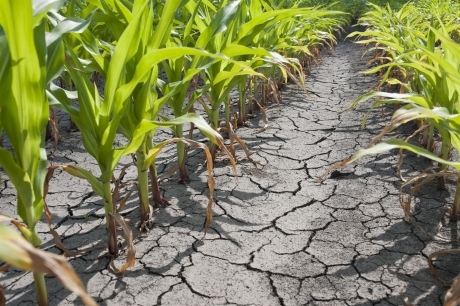 Agriculture is both a major cause and casualty of water scarcity. Farming accounts for almost 70 percent of all water withdrawals, and up to 95 percent in some developing countries. We will have to use our natural resources more wisely as time goes on and when it comes to water there is no exception. 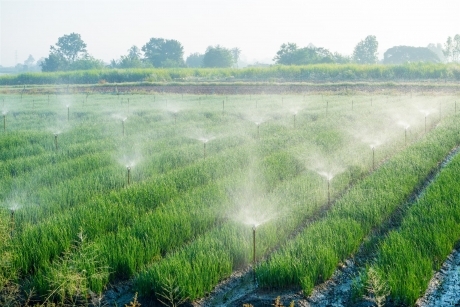 For example, the choice of crop greatly impacts the amount of water that is needed. Did you know that pulses crops have a small water footprint meaning that to produce 1kg of lentils we only need 1 250 litres of water? Compare this to the 13 000 litres of water we need to produce 1kg of beef! Transforming agriculture and our food system is vital to protecting our natural resources in an ever-changing climate. © PiyaPhong/Shutterstock.com | Photo from FAO. Transforming agriculture and our food system is vital to protecting our natural resources in an ever-changing climate. © Kent Weakley/Shutterstock.com | Photo from FAO. Water scarcity is expected to intensify as a result of climate change. It is predicted to bring about increased temperatures across the world. More frequent and severe droughts are having an impact on agricultural production, while rising temperatures translate into increased crop water demand. In addition to improvements in water-use efficiency and agricultural productivity, we must take action to harvest and reuse our freshwater resources and increase the safe use of wastewater. Doing so will not prevent a drought from occurring, but it can help in preventing droughts from resulting in famine and socioeconomic disruption. Wasted food equals wasted water! When we waste food, we are also wasting the resources that went into producing it. Each year, one-third of all the food produced is either lost or wasted — that translates into a volume of wasted water that is equal to around three times the volume of Lake Geneva. We can all make small changes in our daily life to reduce our food waste, from using our leftovers to shopping only for what we need. Water is often used inefficiently in the food value chain. In addition, key decisions such as site selection, technology and suppliers are frequently made without taking into account the impacts on water resources, especially when water is not a limiting factor either in quantities and/or in price. FAO is working with countries to ensure water use in agriculture is made more efficient, productive, equitable and environmentally friendly. This involves producing more food with less water, building resilience of farming communities to cope with floods, droughts and the ever-changing climate, and applying clean water technologies that protect the environment. The issue of water scarcity is at the very core of sustainable development. It comes down to the fact that we simply can’t grow the food we need if we don’t have enough water! We need to change our habits and act now to protect this precious resource. It is one of the most important ingredients to achieve a #ZeroHunger world! This story is an update of the original story published on the 12 April 2017.